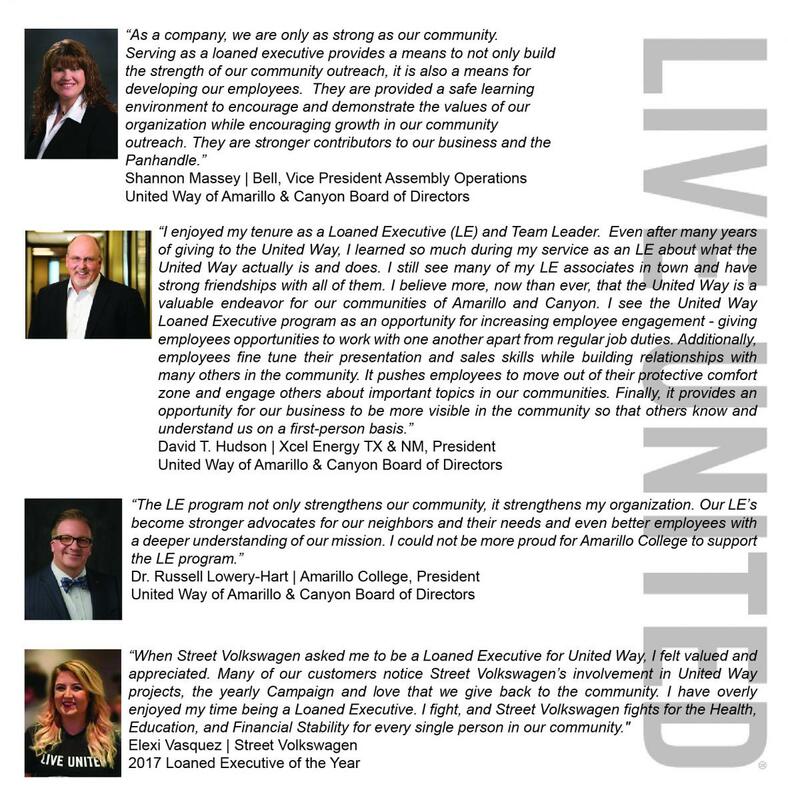 LOANED EXECUTIVES (LE’s) are employees of local companies who are loaned, on a part-time basis, by their employers to help with United Way campaigns. LE’s assist local companies conduct a successful United Way campaign. They serve as a United Way spokesperson, conveying the needs of the community and promoting community involvement. Local organizations find tremendous benefit in selecting employees in leadership positions or high-potential individuals likely to take on a broader role within their company. Loaned Executives take part in trainings and gain tangible skills. Send us your best, they will return better. Alumni return confident, engaged and proud of their company that invests not only in their employees, but also in their community. Employees develop a deeper understanding of United Way programs and resources to the benefit of your entire organization. The employees’ widespread presence in our area will project your company’s commitment to the community. How Does Your Employee Benefit?